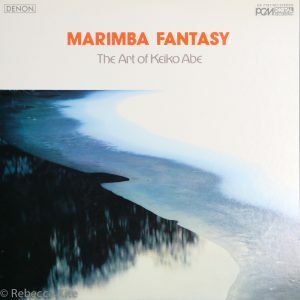 From the moment I played Time for Marimba with Keiko Abe improvising over me, which opened a window to her world of expansive dynamic expressiveness and musical energy for me, she has been an inspirational figure in my life. I have learned so much from her about preparation for performance, about mindfulness, about respect for the audience, and about a singular focus on the music itself without ego that I wanted to document her work to inspire readers everywhere. This project took a lot of work! From me, and from Keiko. 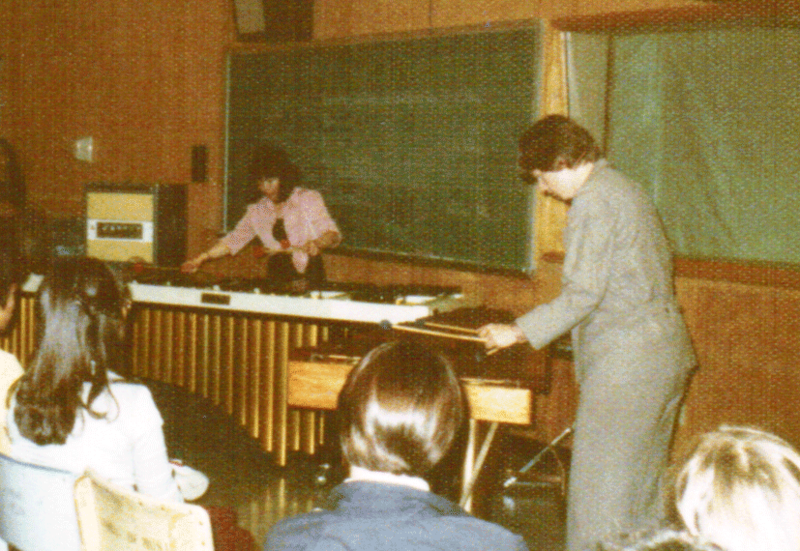 I did original research, which means that I found documentation for every fact that I present in the book, including part two about the history of the marimba and how writing music for the marimba diverged from xylophonistic writing. Programs, LP recording, music manuscripts and published version, Keiko’s datebooks, photographs and interviews of composers, her colleagues and her family confirmed stories and memories. 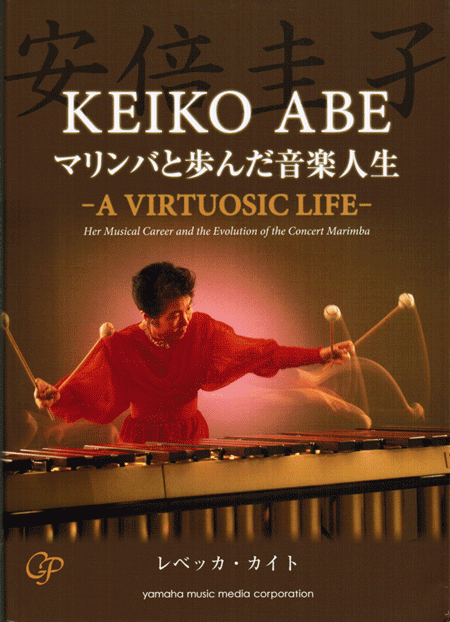 A few short articles had been written in Percussive Notes by Keiko or about her, but there were no existing research materials about her career and life. She did not have a CV/Resume. I painstakingly created a timeline for her life and career (made more difficult by the Japanese calendar based on the era of each Emperor). Keiko and I spent almost 100 hours together over the life of the project, almost all of it in her studio in her home in Setagaya. 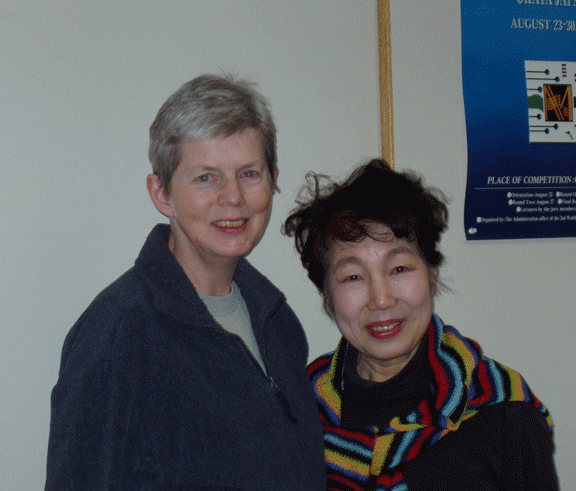 Working with Keiko and the relationship we developed was a great privilege for me. Conceiving of and completing this project is one of the top highlights of my career. October 2006 – Project Complete! 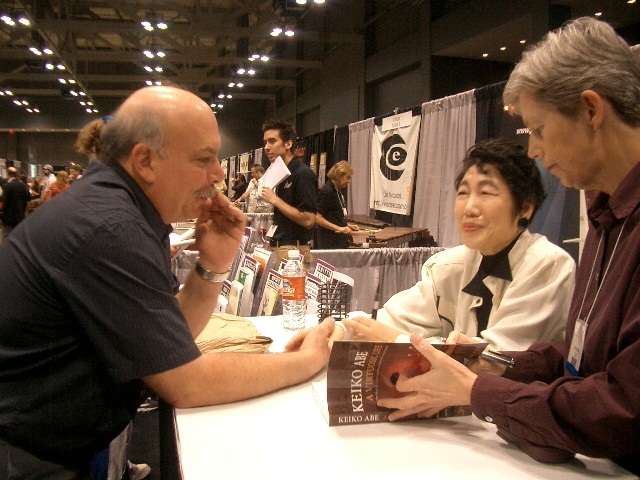 Keiko Abe came to the USA in the fall of 2006 for performances at PASIC’06 in Austin, Texas. I received the books from the printer about two weeks before the convention. 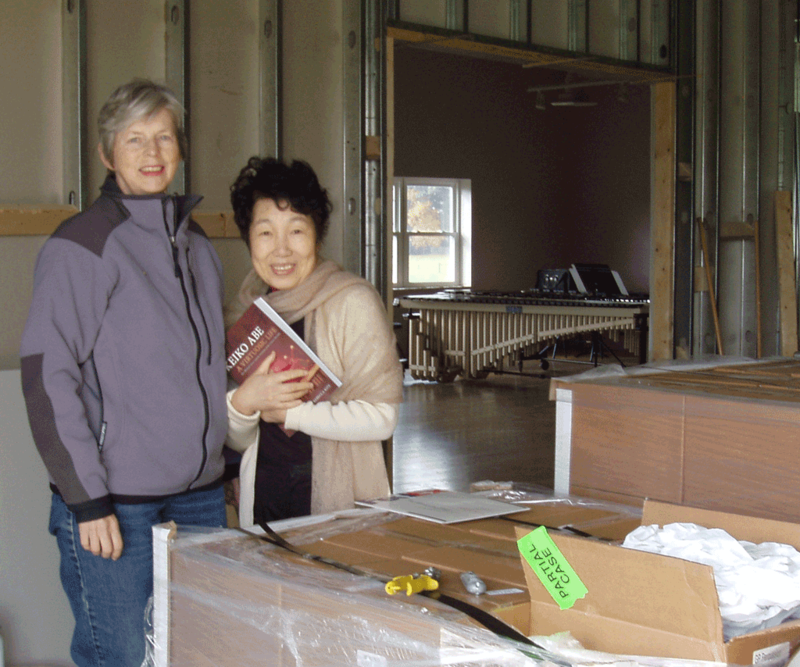 Keiko visited my home to rest, relax and get over jet lag AND to see her biography in print! The project I had proposed to her in Amsterdam in April of 2000 was now a reality – and a beautifully designed book (thanks to Shawn Girsberger). You can see the joy in our faces! Keiko and I are both thrilled! We are standing in the garage of my studio with her biography in our hands! Book sales were a success! It was especially gratifying to see people’s response and to remember PASIC’86, twenty years before, when I imported Keiko’s first recording of her own compositions, Marimba Fantasy. 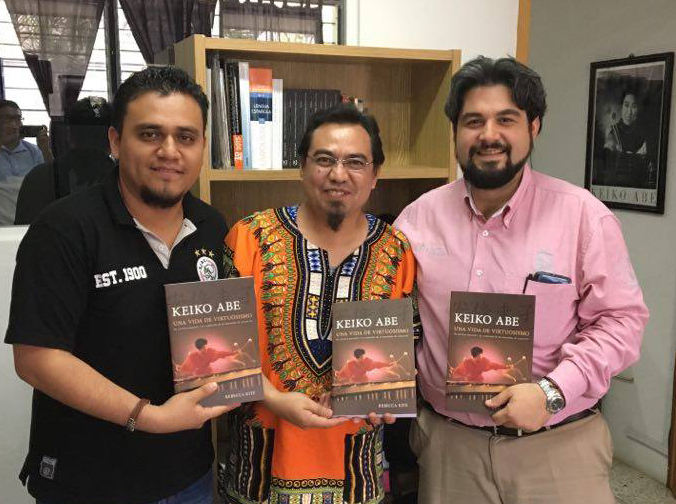 Book copies held by Percussion Faculty at UNICACH in Chiapas. Translate and published by the University Press in 2016. A great honor for me!